These ladies have a nice blog. 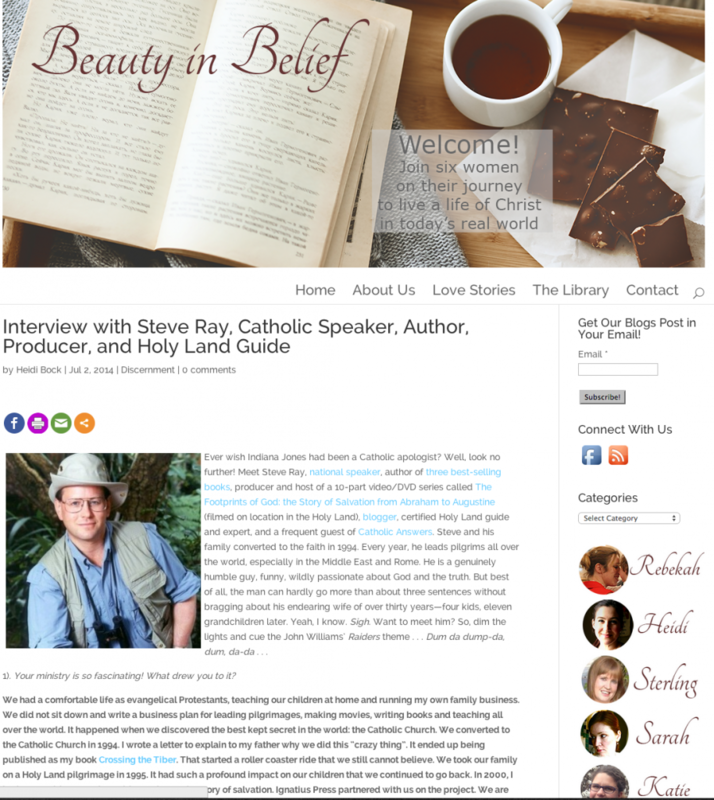 They like coffee and chocolate and sharing the Faith–Beauty in Belief– living in the Catholic Church and interviewing crazy guys like me. I enjoyed talking with Heidi and I am flattered by the interview on their website. Hope you enjoy it too. Click on the image to visit their blog and read the interview.